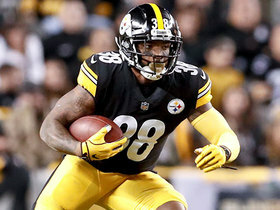 Wilson (shoulder) is part of a deep position group that now includes Tevin Coleman and Jerick McKinnon (knee) as well as Matt Breida (ankle) and Raheem Mostert (forearm), ESPN.com's Nick Wagoner reports. 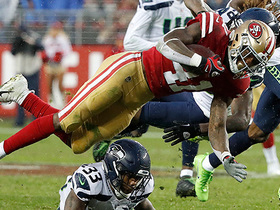 Wilson (shoulder) ran for 266 yards on 66 carries in six games with the 49ers. He added 98 receiving yards on 12 catches. Wilson was forced out of Sunday's game against the Rams with a shoulder injury. Analysis: With Wilson now banged up and Matt Breida (ankle) out, Alfred Morris is next up for the 49ers' Week 17 carries. Matt Dayes is also on hand in reserve. 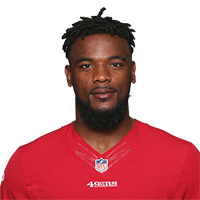 Wilson will be the 49ers' lead back Week 17 against the Rams with Matt Breida (ankle) ruled out for the season finale, Matt Barrows of The Athletic reports. Analysis: When Breida previously yielded the role to Wilson in Week 14, the latter turned a season-high 62 offensive snaps into 23 rushes for 90 yards and one catch (on two targets) for six yards. On the season, Wilson has averaged 4.1 yards per carry and gathered in 80 percent of his 15 targets, so he has the ability to cripple defenses in a variety of ways. He'll look to keep it up against an LA defense that has given up 125.1 yards from scrimmage per game and 14 touchdowns to running backs this season. Wilson rushed 11 times for 27 yards while adding two receptions for an additional 11 yards in San Francisco's Week 16 loss to Chicago. Analysis: After Matt Breida left the game early with an ankle injury, Wilson finished the game as the lead running back, but was unable to have much success running against the ferocious Chicago defense. Should Breida miss next week's game, Wilson should get enough volume to be a fantasy starter against a Rams defense that can be attacked on the ground. 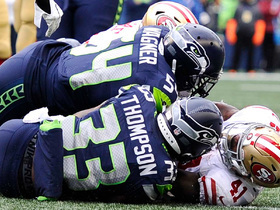 Wilson rushed for 46 yards on seven attempts during Sunday's 26-23 win against the Seahawks. Wilson rushed 23 times for 90 yards and brought in one of two targets for six yards in the 49ers' 20-14 win over the Broncos on Sunday. He also fumbled once, but it was recovered by the offense. Analysis: Wilson took advantage of his lead-back role, absorbing all but two of the carries afforded to running backs and consistently moving the chains. The undrafted rookie didn't have anywhere near the level of involvement in the passing game that his prolific eight-reception performance in Week 13 might have foreshadowed, but he appears to be a highly viable alternative to Matt Breida (ankle) if the latter is sidelined once again in Week 15 versus the Seahawks. Wilson is expected to serve as the primary running back in Week 14 with Matt Breida (ankle) sitting out against the Broncos, Chris Biderman of the Sacramento Bee reports. 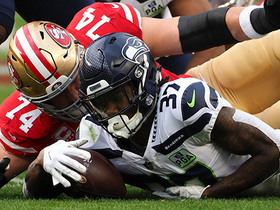 Analysis: Wilson turned in a huge day in Week 13 with Breida hobbled, racking up 61 yards on 15 carries in addition to eight catches for 73 yards on nine targets against the Seahawks. Coach Kyle Shanahan suggested Monday that Wilson's play during practice would have afforded him additional run Sunday even if Breida wasn't injured, suggesting Breida's eventual return won't remove Wilson from the backfield equation. Wilson rushed 15 times for 61 yards and caught eight of nine targets for 73 yards in Sunday's 43-16 loss to the Seahawks. Analysis: Wilson left the game to nurse a foot injury late in the first half but was able to return and put up a monster day while Matt Breida missed time with a recurring ankle injury. Given the huge performance, the rookie may have earned the starting role if the out-of-contention 49ers decide to rest Breida going forward. In that case, the North Texas product could be an intriguing option at home Week 14 against the Broncos. 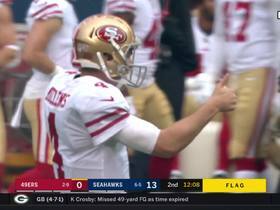 Wilson (foot) reentered Sunday's game at Seattle, Jennifer Lee Chan of NBC Sports Bay Area reports. 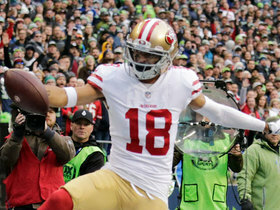 Analysis: Although Wilson missed some time in the first half to have his foot examined, the undrafted rookie returned to action during the 49ers' first second-half possession. According to Jennifer Hale of Fox Sports, starting running back Matt Breida has been in and out of the game to have X-rays on his ankle, so the 49ers' hand may have been forced regarding Wilson. Wilson is questionable to return to Sunday's contest in Seattle due to a foot injury, Matt Barrows of The Athletic reports. Analysis: After a catch and run in the waning minutes of the first half, Wilson limped to the sideline and eventually needed assistance to get to the locker room, per Barrows. According to Cam Inman of The San Jose Mercury News, Wilson jogged back to the sideline but didn't reenter the game before halftime. If Wilson doesn't retake the field, Matt Dayes is the only other active reserve running back behind Matt Breida with Alfred Morris a healthy scratch. Wilson rushed seven times for 33 yards in Sunday's 27-9 loss to the Buccaneers. He also caught his lone target for eight yards. Analysis: Wilson -- who was signed off the practice squad this week -- immediately stepped in as the top backup to Matt Breida. The undrafted rookie replaced veteran Alfred Morris, who was a healthy inactive. Wilson made the most of his limited touches and will probably continue serving as the 49ers' No. 2 back, but it's unlikely that he'll cut into Breida's workload in a more significant way. Wilson makes for little more than a speculative pickup in deeper formats at this stage. Wilson signed a contract with the 49ers on Saturday, Matt Maiocco of NBC Sports Bay Area reports. Analysis: Wilson signed with the 49ers as an undrafted free agent in May but didn't survive roster cutdowns at the start of the season. The 23-year-old has since been on the team's practice squad and could make his NFL debut Sunday, though he seems unlikely to be involved much offensively. Wilson carried the ball five times for 20 yards in Saturday's preseason loss to the Texans. Analysis: Wilson was the last running back to enter the contest, but he was also the only runner to average a minimum of four yards per carry. That said, the undrafted rookie appears to be low in the pecking order in the 49ers' third running back competition, but he can certainly elevate his status with a strong showing in the final two weeks of the preseason. Seattle Seahawks cornerback Tre Flowers has a big fumble recovery after San Francisco 49ers running back Jeff Wilson loses the ball. San Francisco 49ers running back Jeff Wilson is able to break through the Seattle Seahawks defense for a 16-yard gain. 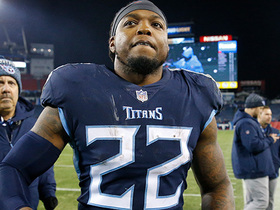 The "NFL Fantasy Live" crew give their top fantasy running backs for Week 15. 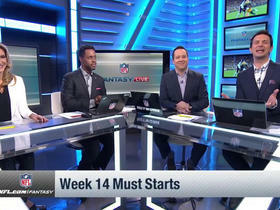 The "NFL Fantasy Live" crew break down players that will or will not live up to the height in Week 14. NFL Network's Cynthia Frelund projects how she sees the top added running backs from Week 14 performing this week. 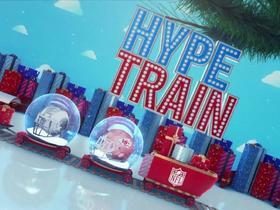 NFL Network's "NFL Fantasy Live" crew spotlights players you should consider adding as you attempt to make a fantasy playoff push. San Francisco 49ers running back Jeff Wilson Jr. bursts for a 24-yard catch and run on screen pass vs. the Seattle Seahawks. Seattle Seahawks linebacker Bobby Wagner rips ball away from San Francisco 49ers running back Jeff Wilson Jr. in the red zone. 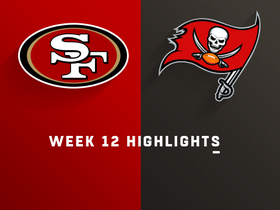 Watch the San Francisco 49ers vs. Tampa Bay Buccaneers highlights from Week 12 of the 2018 season.